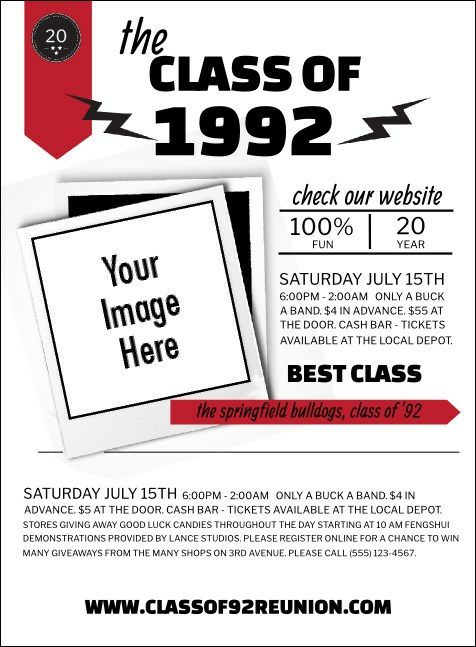 Reconnect with your old crew and get ready to wax nostalgic when you print Class Reunion Mascot Red Invitations and send them out to your guest list in advance. Make any reunion bigger and better with Invitation templates that feature room for you to upload a personal image and customize twenty-three lines of text with all your event details. TicketPrinting.com helps you put more unity into any reunion!